ICF tilt-up offers the same advantages as regular tilt-up—fast construction time and low cost—with the added benefit of furred out, insulated walls. ICF construction has evolved considerably over the past ten years. 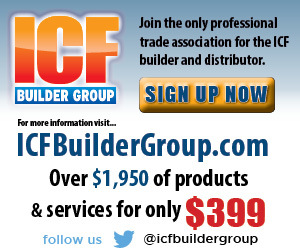 Commercial ICF construction, which was less than 20% of the industry ten years ago, is now dominant. 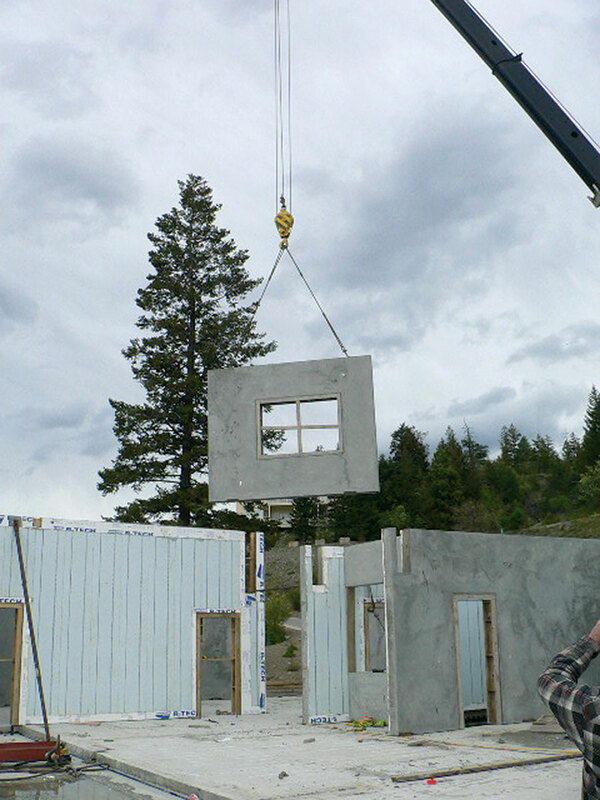 In many ways ICFs are best suited for larger buildings. Their energy efficiency tends to be fully appreciated by the commercial and industrial customer, who calculates long-term energy costs as part of the construction decision. Also, while the strength of ICF walls is often overkill in homes, it is necessary and fully utilized in larger buildings. Still, ICFs sometime struggle to win “low-rise” commercial projects. For big-box stores, warehouses, and other buildings with long straight walls, few windows, and minimal insulative and aesthetic requirements, designers typically specify tilt-up construction. Tilt-up technology has been around since the beginning of the 1900s, although it didn’t really begin in earnest until the 1950s, when heavy-duty cranes became more common. 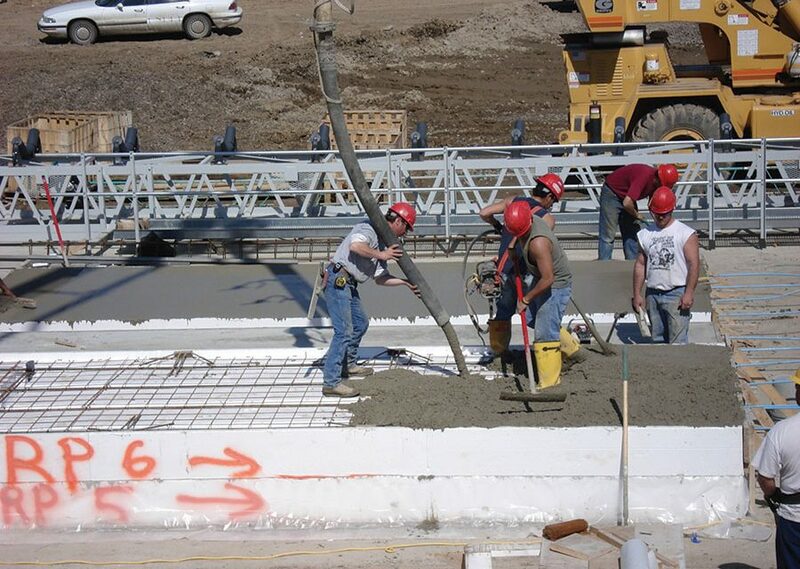 With tilt-up, concrete walls are poured horizontally on the structure’s floor slab or casting bed at the job site. Each panel is then hoisted into place with a crane and temporarily secured with steel braces until permanent fasteners are welded into place at the footings, panel joints and roof line. It’s a construction method that requires fewer skilled workers than masonry, and eliminates the transportation costs associated with precast panels or masonry blocks. Over the past 70 years, it’s proven to be a durable and economic way to build. 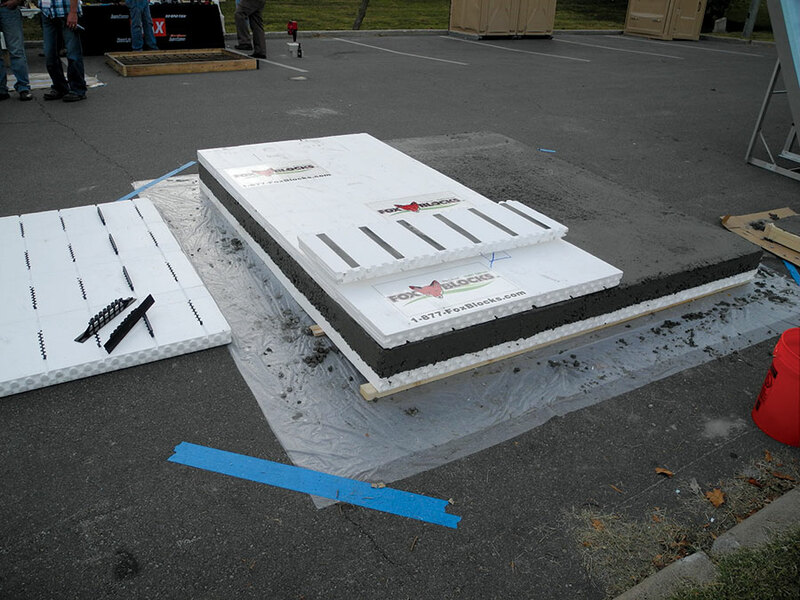 Some knock-down ICF systems have the ability to create insulation on one or both sides of the tilt-up panel. In recent decades, tilt-up has faced new challenges. Insulation values are now higher. Building footprints are more complex. Owners want more options for interior and exterior finishes. To address these difficulties, a few innovative ICF companies have adapted their foam forming systems for tilt-up work. 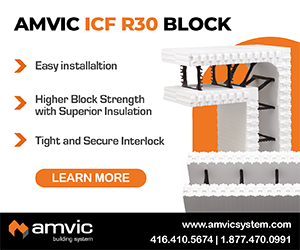 They claim ICF tilt-up offers the same advantages as regular tilt-up—fast construction time and low cost—with the added benefit of furred out, insulated walls. 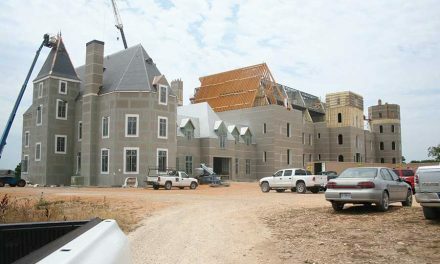 The ICF industry has experimented with tilt-up techniques for more than a decade. 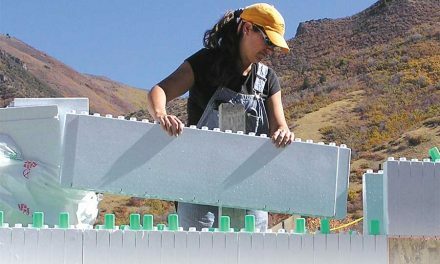 ECO-Block, a Texas-based ICF panel system, researched the idea’s viability in the early 2000s before the company was purchased by Arxx. Two of the EPS decking system manufacturers—LiteDeck and Insul-Deck—were also testing their products in tilt-up applications, and met with some success. 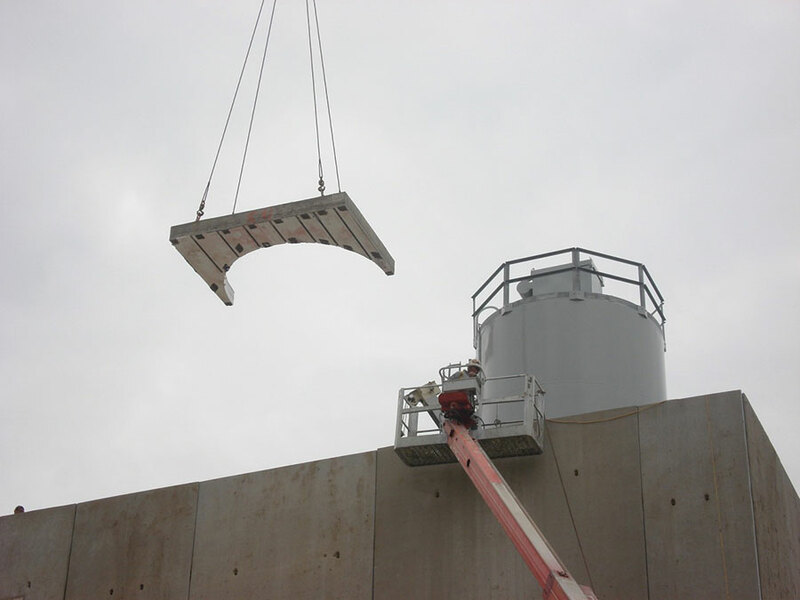 About 2005, Lite-Deck won its first insulated tilt-up job, and over the next few years successfully completed several other large commercial projects. (See case study on opposite page.) Over the last 10 years, they’ve probably completed more tilt-up projects than anyone else in the ICF industry. 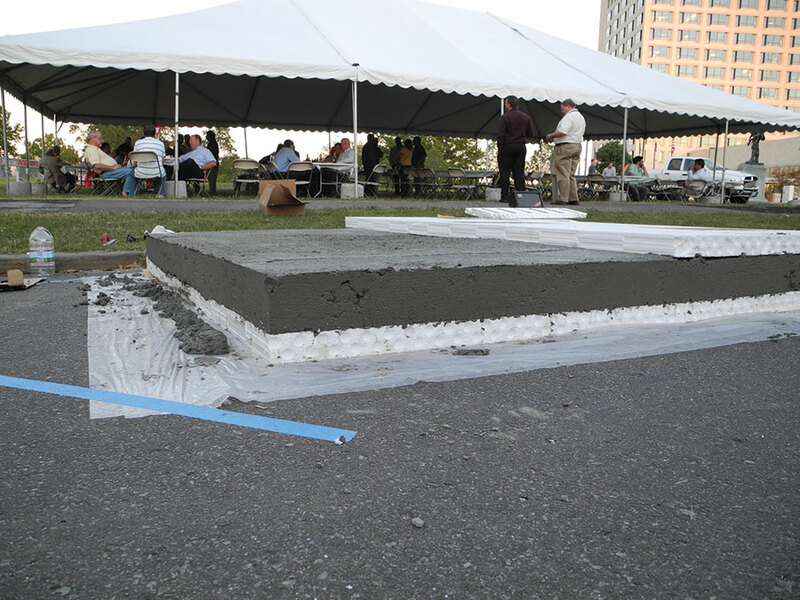 During the construction slowdown of the last five years, many of the leading panel ICFs adapted their products to tilt-up. Although the sector looks promising, actual fieldwork has proved elusive. 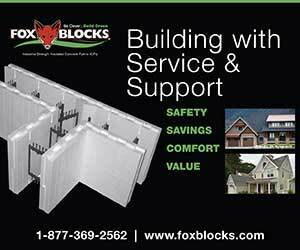 Called the Fox Tilt Insulation Furring System; it’s basically their standard knockdown ICF panel (Fox 1440, formerly Formtech). 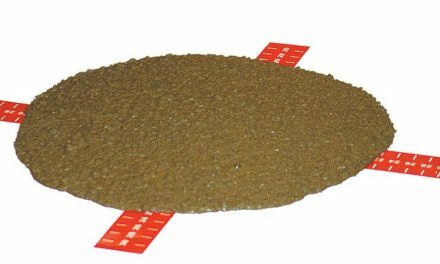 Instead of the standard web, though, it uses a “sleeve,” a ratcheting, structural polypropylene embed that mechanically fastens the insulation panel and the plastic furring studs to the concrete wall. Despite the downbeat assessment, Amvic has moved ahead and developed a full range of tilt-up solutions. Dubbed “EnerTILT,” the low-rise version uses a flat panel and is suitable for walls up to 20 feet. Measuring 2’ x 4’ x 3 ¼”, it’s similar to one side of the new Amvic 3.30+ block. For taller tilt-up walls, they offer the EnerTILT Ribbed Panel. With a profile similar to their AmDeck product, EnerTILT Ribbed measures 2’ x 4’ x 10” and incorporates a unique column design which allows for less concrete in the wall panel. 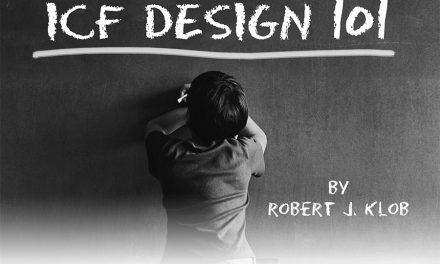 Insulated tilt-up is still in its infancy, and has a number of serious hurdles to overcome. Wow, I had no idea that tilt-up technology for buildings was a thing. It’s really cool to learn how concrete walls can be poured horizontally on the structure’s floor slab or casting bed at the job site and then hoisted in place with a crane. Thanks for helping me learn more about this technique and how it requires fewer skilled workers than masonry and eliminated transportation costs associated with precast panels or masonry blocks.